The Europeans have been playing “touch tennis” for several years (Google it) and it is enjoyed by all age groups! USTA Florida started a similar program now known as Masters Tennis and the program is very popular. North Carolina Tennis is promoting the format as FIREBALL tennis. 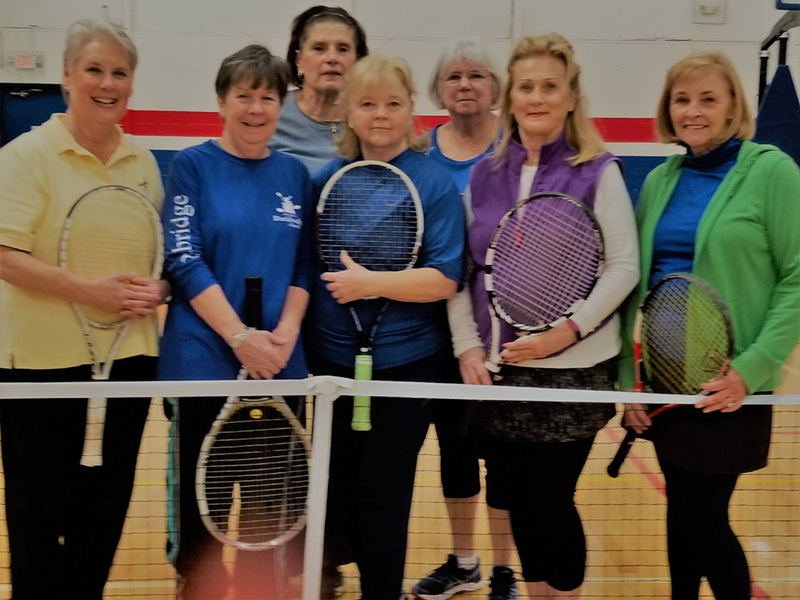 Everyone (beginners, seniors, players with mobility issues, players who want to improve their hand/eye coordination, players wanting to improve topspin, to play with different ages and looking for a new challenge)! WHY SHOULD FACILITIES ADD FIREBALL TENNIS LINES TO THEIR COURTS? The official FIREBALL court is played on a scaled down 60 foot court using the orange low compression ball. This court is 60 ft x 21 ft for singles, 60 ft x 27 ft for doubles also used for junior tennis and is listed as the Best Court Choice below. Alternative Court choices are also listed below for indoor play at facilities without tennis courts and outside courts if a smaller court is desired. It is noted that beginner players and players with mobility issues may find the smaller court choices user friendly also. The 60 ft court is a scaled down court on a regular tennis court. It is also the traditional junior tennis court and is played with the traditional tennis net. Singles play is 60 ft x 21 ft, and doubles play is 60 ft x 27 ft. It is easy to set up a 60 foot court for play. Court is 30 feet long on each side from net to baseline (60 ft. total length) and 27 feet wide. Lines may be marked on a hard court with chalk or tape, or on a clay court with chalk, or simply draw the lines in the clay with a rolling line brush. Net height 3′ center, 3.5′ posts. Balls – low compression orange. Equipment – standard adult racquet or 25 inch racquet. 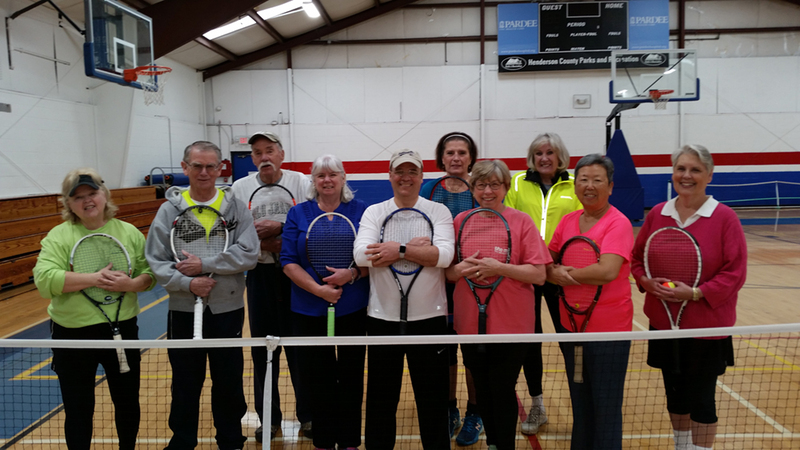 Lots of fun players stopped by to play Indoor Fireball Tennis this year at the Henderson County Parks & Recreation gym!